Annette Bower believes home is where her stories begin. She has travelled extensively, but always returns home to Regina, Saskatchewan. Whether at home or away, even though she is directionally challenged she wanders the streets, parks, and lanes observing how people live, love, and care for one another. Your way of sitting, holding hands, the way you tilt your head, or a t-shirt you wear may end up in one of her stories. Her experiences as a nurse, administrator, town councillor, teachers' assistant and student inform her stories and reflect the experiences of many readers. Annette's stories are read around the world and have been shortlisted on many national and international stages. 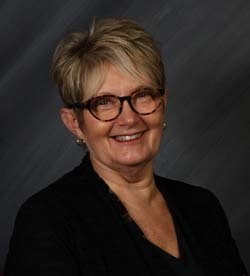 She is a member of the Saskatchewan Writers Guild, the Saskatchewan Romance Writers, the Romance Writers of America. She is also an alumna of The Grey Nuns' School of Nursing, The University of Regina, Sage Hill Writing Experience, Algonquin College, and Banff School of Writing. You can find out more about her on her blog posts. Annette enjoys reading to small and large groups of readers. If you'd like her to attend an event, please contact her. Copyright © Annette Bower 2012-2019 Website by Glass Slipper WebDesign. View Between the Towers photo by Katie Bially. The Road photo by Leeann Minogue.